[Sen. Sharon Runner] – In the interest of recognizing veterans for their service and sacrifice, state Sen. Sharon Runner, R-Lancaster, pushed for the passage of her legislation allowing retired and honorably discharged veterans to have a “VETERAN” designation on their driver’s license or identification card. Specifically, Senate Bill 1355 would allow the Department of Motor Vehicles to designate an individual’s status as a retired veteran or a veteran discharged under honorable conditions on the front of the driver’s license or identification card. The designation will also make it easier for veterans to verify their military service to businesses, organizations and events that provide benefits, preferences and discounts to veterans. This designation, if passed by both houses of the Legislature and signed into law by the Governor, is not an entirely new concept. At least 20 other states allow for this label. Current state driver’s licenses also show a designation for organ donation. Senate Bill 1355 passed the Senate Transportation and Housing Committee by a vote of nine (9) to zero (0). “I appreciate Senator Ted Lieu for presenting the measure and members of the committee for their support,” Runner stated. 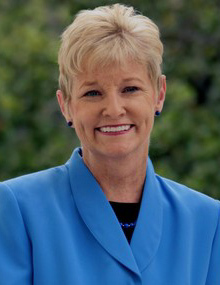 Senator Sharon Runner represents the residents of the 17th Senate District, which includes portions of Los Angeles, Ventura, Kern and San Bernardino Counties. Contact her office at 916-651-4017, or via email at senator.runner@sen.ca.gov.